The other week I got a scare. A BIG scare. In fact, I think it's safe to say that I have never been so utterly terrified in my entire life. See, for one split second I thought he was dead. And I'm not talking scared like I am fifteen times a day with my 'he/she's not breathing' freak outs. This was a horrifying moment where I witnessed my eldest boy get knocked down on the road. I've never feared any harm would come to my kids from the dogs. I trusted myself that I would always keep them completely safe in that respect. We've taken these family walks time and time again (I've blogged about them in the past), and for a while there we had a tried and tested roadside safety routine. The dogs are made to sit at the side of the road, while the kids point left, right, left and listen out for 'brum-brums'. When we're sure it's all clear they can cross - holding our hands. But the group dynamics have changed. There's an additional little person. And a bigger, stronger puppy dog. So, on this particular awful day, the dogs were sitting obediently, one on either side of Momma, who had our brand new baby girl in arms, and just to the right of us, Daddy had the boys - or so I thought. When we all yelled 'vamanos!' the dogs set off full pelt across the road - as did our excited 'free' big kid who (sadly) didn't have hold of anybody's hand. It was too late. I saw it all happen before it actually did. The big white puppy headed diagonally across Daddy and the boys' path running smack bang full force into our three year old baby boy. My blonde haloed angel baby. The impact lifted his feet off the ground and he was knocked backwards. His head hitting the concrete road with a crack. I could have vomited. Instead I screamed and screamed. I saw blood. Irrationally I yelled "IDIOT!" at the dog and hit out at him. My arms were too full with a newborn to scoop up the baby I desperately sought to cradle. He was crying - THANK GOD - he was crying! Daddy took our newborn and herded our youngest boy to the safety of our yard leaving me free to tend to my firstborn. Other than hold him close I didn't have a clue what the right course of action was. The blood splatter - and the sound of his little head cracking against the tarmac - had absolutely terrified me. That memory will haunt me for the rest of my days. I wanted to take him to the ER, but Daddy was the voice of reason. Instead I cleaned my wounded soldier up and loved on him for the rest of the day. Forgiving our puppy dog has been hard. I was ready to re-home him. I understand now why Rhett Butler shot his horse. I was also really mad with Daddy for not having hold of our boy's hand. But, most of all, I was furious with myself. How could I have put one of my precious babies in harm's way? What kind of a mother am I? I'm the kind that is excellent at beating myself up. The thing is, I don't believe in accidents. Being in Shell taught me that. The 2010 BP oil spill was an 'accident', right? It's not about finding someone to blame (although, let's face it - that often takes the sting out), but it's about figuring out how to not make the same mistake again. I now have a much healthier respect for the dangers the dogs (in particularly our clumsy and headstrong idiot pup) present to my little ones. 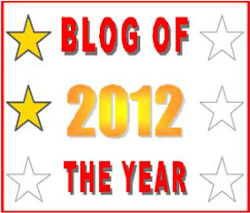 I know I'm going to hear a few 'I-told-you-sos' once I put this blog out - and rightly so! *sigh. Don't you hate it when they are right? OMG! What a scare! The same thing happened to my boy when he was a clumsy 3 year old and not because of a dog. Instead of kicking the ball, he stepped on it, flew in the air and landed on his head on concrete floor. I feel my heart stop beating as I remember it. I had stayed up all night watching him sleep to see if he vomits or something, due to a perhaps internal bleeding or clot in the brain. Thank God, he was all right. I'm so glad your boy is okay! Josie, I was scared for you while reading your post! Little heads always bleed so much. I'm glad he's okay. You will forgive your puppy (large dog) just like you'll forgive yourself when you realize you can't be 37 different places at once. You're only one person and (as always) reading your words tell me what a good mom you are.